You Know it’s Time to Upgrade your Friends if…. …they’re gossips. Gossips feel so bad about themselves that they need to put others down in order to make themselves feel better. If you’re friends with a gossip, and they’re speaking poorly about someone behind their back, you better believe they’re saying the same things about you when you’re not around. Gossips lack self-esteem. …they’re whiners. Whiners are funny creatures. They always see the glass as half empty. They always find something to whine about. They even whine about other people’s whining. Whiners lack self-awareness. …they’re cynics. 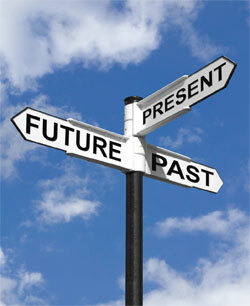 Cynics believe that people are motivated purely by self-interest rather than acting for honorable or unselfish reasons. They don’t see the good in people. Every relationship is met with suspicion, derision, and/or indifference. They’ve given up hope on humanity. Cynics lack faith. ...they’re judgmental. Some of the most judgmental people I’ve met go to church every Sunday morning. They know all the “laws” in the Bible, but forget the greatest law of all: Love thy neighbor as thyself. It’s the opposite of love to admonish others because they look differently, love differently, “sin” differently. Nobody is perfect. Judgmental people lack grace. 1. Get interested in other people. It’s important to listen more than you speak. It’s such a turnoff when you’re speaking to someone and you can tell they’re not really listening, they’re just nodding as they formulate what they’re going to say next. Be selfless because selfishness equals guaranteed loneliness. 2. Be an encourager. Build up the people in your life. Don’t tear them down. Have you ever been in a relationship with someone who constantly nagged. You feel small, like you can’t do anything right. Now, imagine you have someone in your life who makes you feel like a king or queen. When you have an encourager in your life, you live boldly and without fear. Try not to say anything negative about or to anyone for one week and see how it changes the way you see others and the way they treat you. 3. Accept people unconditionally. We’re all slightly damaged. It’s not our job to change anyone. 4. Be a friend in tough times. 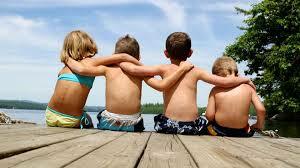 Proverbs 18:24 states, “Some friends may ruin you, but a real friend will be more loyal than a brother “ (EXB). When my mom passed away, I quickly learned who I could count on as my real friends. I’m beyond grateful to those people who loved me through such a difficult time. There’s that old saying, “Some friends are for a reason, some are for a season, and some are for a lifetime.” I’ve had a lot of friends over the years, and I’ve loved them all; however as I get older, I realize that not everyone is meant to be a lifetime friend. Is it time for you to upgrade your friends? 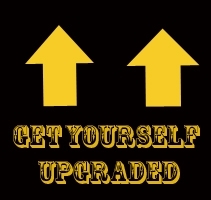 Is it time for you to upgrade yourself?